In a large saucepan, cook bacon until browned and most of the fat has been rendered. Remove bacon and reserve. In the same skillet, cook the onion, leeks, shallots, carrots and celery until tender. Add garlic and cook one minute. Stir in broth, scraping any brown bits from the bottom of the pan. Submerge ham bone in broth with parsley, thyme and bay leaves and bring to a boil. Cover and transfer to oven and cook for one hour. Stir in turnips, potatoes and cabbage and cook one hour more. 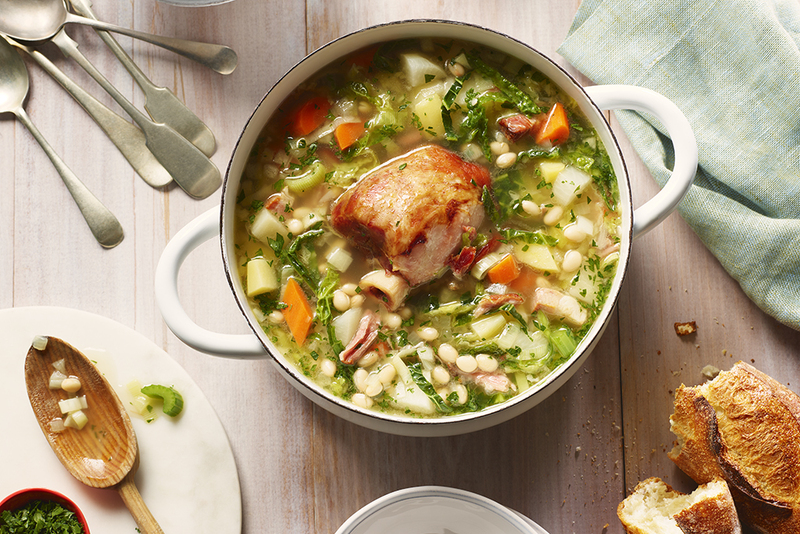 Stir in beans and reserved bacon and let sit for 15 minutes before serving, sprinkled with fresh parsley. 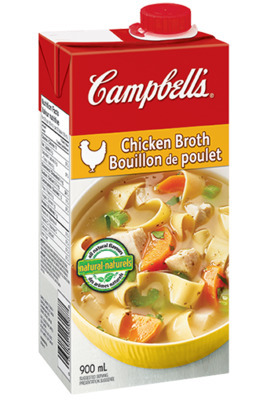 Also delicious with Campbells® Ready to Use Vegetable Broth. Substitute ham bone with ham hock if preferred. Replace bay leaves, thyme and parsley with a simple bouquet garni. Arrange 2 sprigs each of flat leaf parlsey, thyme and rosemary with one fresh or dried bay leaf in cheesecloth and tie with kitchen twine. Remove the pouch before serving.